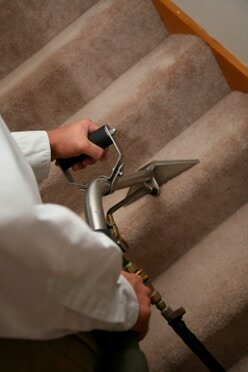 Carpet Trades offers professional in-home cleaning and repair services. Our experienced carpet cleaning professionals use our state of the art equipment to revitalize and clean your carpets. Whether you need to treat a stain or freshen up a room, we can pre-treat traffic areas and add a stain protector. All cleaning includes extraction cleaning and deodorizing. ​For a custom quote, please call us at 781-662-0062 or fill out our contact form.